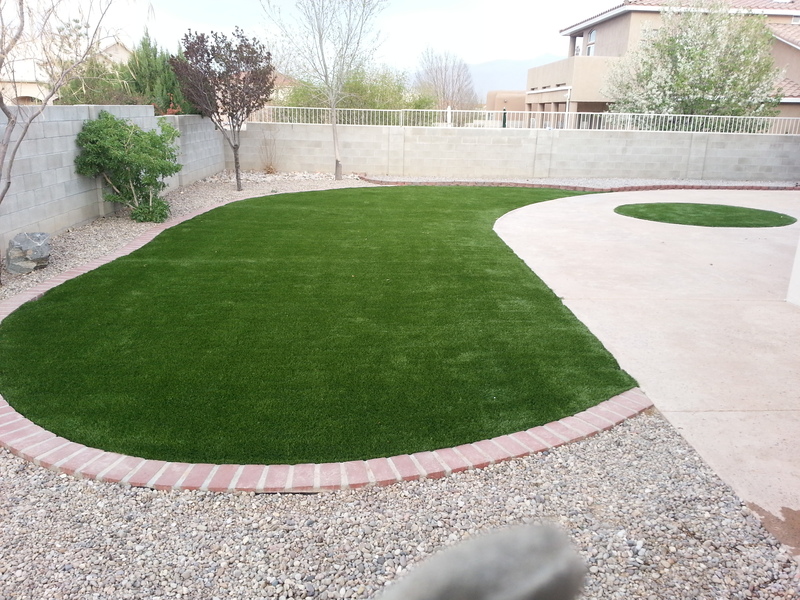 So you would like to get artificial grass at your home because of low maintenance costs and no water cost but you still are unsure of making the change to synthetic grass because it gets hot. Introducing the latest product line from southwest greens called Hydrochill. 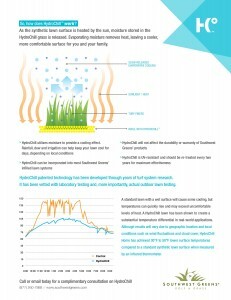 So, how does HydroChill™ work ? 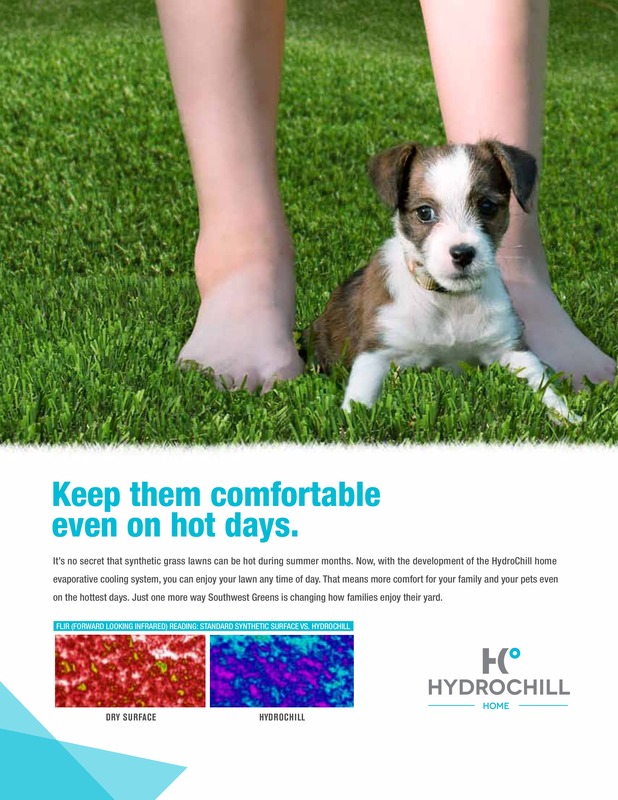 As the synthetic lawn surface is heated by the sun, moisture stored in the HydroChill grass is released. Evaporating moisture removes heat, leaving a cooler, more comfortable surface for you and your family. 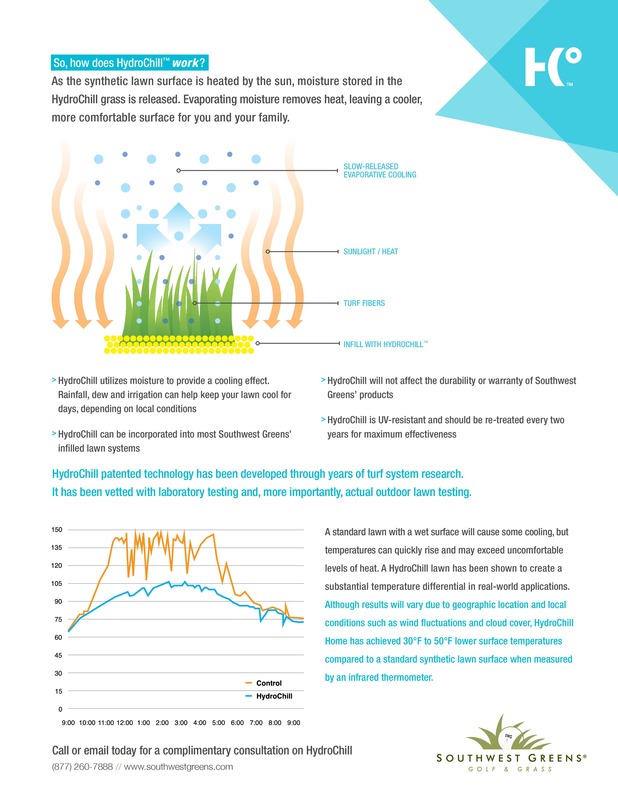 HydroChill patented technology has been developed through years of turf system research. It has been vetted with laboratory testing and, more importantly, actual outdoor lawn testing. substantial temperature differential in real-world applications. Do you already have an artificial lawn from another company and wish you could have it treated with this revolutionary product? Don’t worry, as long as your grass is infilled with silica sand we can treat your existing lawn.